I visited Edinburgh for the first time a few months back. People tried to persuade me not to go, saying it was going to be depressing, windy and cold. While the Scottish capital was undeniably chilly in November, it most certainly wasn't depressing. Wellington Coffee made my stay in the city all the more memorable, after taking refuge in here from the bustling New Town. One of many charming characteristics of the city is the Georgian architecture, especially the popular layout that sees many stores setting up shop on the basement levels. 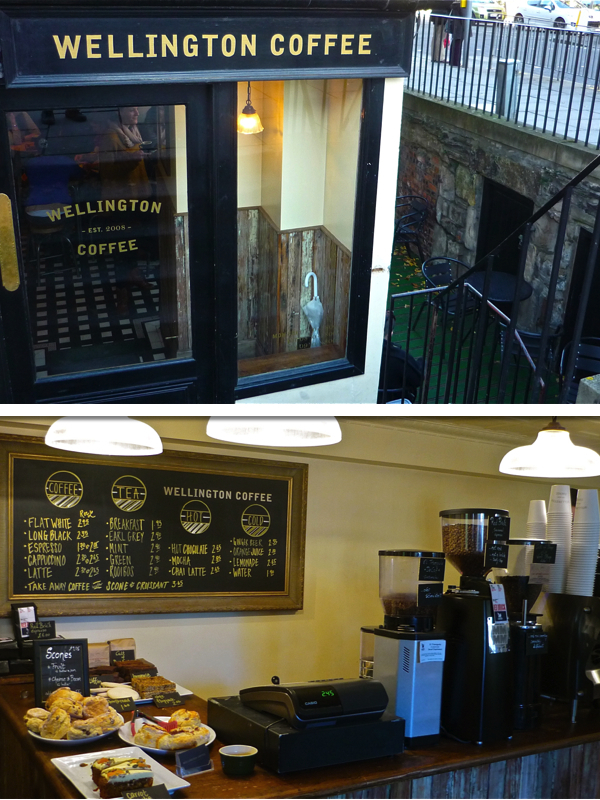 Wellington follows this style and sits like a beacon of hope and caffeine on the corner of Hanover Street and George Street. The light-wood interior smells and looks lovely. 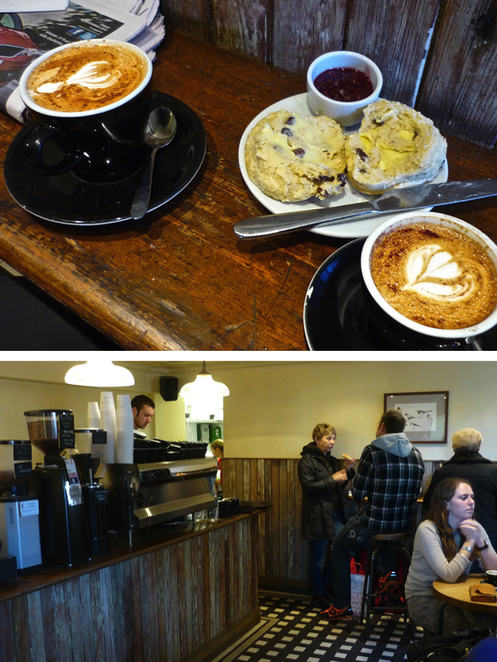 Friendly baristas here serve up the tried and trusted London coffee – Square Mile. And it is, excuse me, one of the damn finest cappuccinos I've had. This, together with a freshly baked scone, was just the ticket on that frigid northern day. Needless to say, I'd highly recommend getting your coffee fix here rather than the many chains that litter Edinburgh. Go on. You know you want to!